When mobile banking was first introduced as an SMS service in the early 2000s, few could’ve predicted the rapid development that would follow over the course of the next 15 years. These days, every major high street bank offers a responsive mobile banking app that allows their customers to access account information, statements, make payments and transactions within just a few shorts clicks. Providing you can connect to the internet this makes mobile banking extremely convenient, especially if you’re in a hurry to check your balance or transfer funds. The ability for customers to check their balance at a moment’s notice is great for those who wish to get a tight handle on their daily, weekly and monthly expenditure. And although there may be certain aspects – such as viewing a list of all direct debits – that you may only be able to do with conventional online PC banking, soon we expect the functionality of both services to be more or less identical. Many banking apps also offer a well-designed analytics function that allows users to see their main outgoings and how much money they have been spending in comparison to previous months. 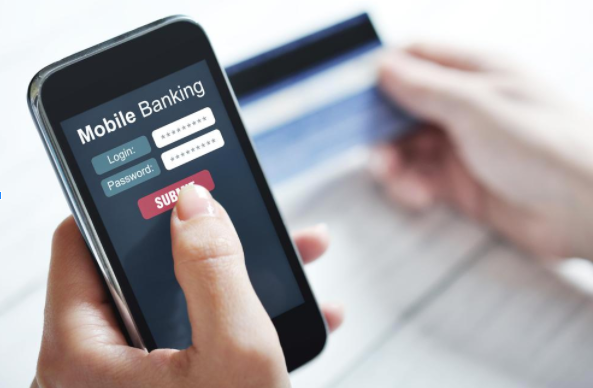 The fact is that mobile banking is just as secure as traditional PC banking, and follows more or less the same login and password structure. And even if you log in to your banking app and immediately lose your phone afterwards, most apps will log you out after a very short period of inactivity. The growth of the mobile industry is astounding when you look at the figures. A recent national forecast from Statista suggests that the number of smartphone users in the UK will reach just under 45 million this year, which is 70% of the British population. And that figure is only going one way right now. As a natural development of this rise in usage, mobile banking will become more and more prevalent, and so banks will invest more and more into creating increasingly responsive mobile apps to seek out an edge over the competition.